Fires in assembly occupancies have shown to be some of the most deadly when the proper features, systems and construction materials were not present. Nightclubs, theaters and auditoriums differ from office buildings because they contain a large number of people in one main space. NFPA code provisions mandate that a considerable number of safety systems and features be present in order to keep everyone safe should an unwanted fire occur. The level of safety provided is not the result of any single safety system or feature, but rather is achieved through the combination of multiple safeguards that are provided. Video: NFPA's Robert Solomon says consumers need to know how to protect themselves when they visit nightclubs and other public assembly venues. Learn how to prepare yourself for an emergency in a public assembly building. This free case study reviews historic fires in assembly occupancies, and important code changes that resulted from tragedy. The deadliest nightclub fire in U.S. history, the Cocoanut Grove nightclub in Boston burned on November 28, 1942, killing 492 people. NFPA report: "U.S. Fires in Selected Occupancies: Eating and Drinking Establishments"
NFPA reports on assembly occupancy fires. 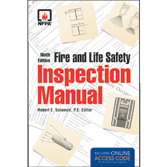 Information on the inspection of assembly occupancies (PDF) from the eighth edition of NFPA's Fire and Life Safety Inspection Manual. Provides the basis for ongoing inspections of existing buildings regardless of use or occupancy. Inspection checklist for assembly occupancies (PDF) which can be used as the basis for inspection if a jurisdiction does not otherwise have a prepared list available. 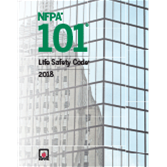 Chapter 3, Codes and Standards for the Built Environment (PDF) from the 19th edition of NFPA's Fire Protection Handbook. Provides information about the history and role of regulations in the built environment, standards organizations, and enforcement, along with information about standards developing organizations, both nationally and internationally. Protect lives with state-of-the-art guidance on conducting safe, thorough, accurate inspections. Deadliest public assembly and nightclub fires Deadliest public assembly fires in U.S. and world history. The Station nightclub fire A fire at the Station nightclub in Rhode Island on February 20, 2003, killed 100 people.